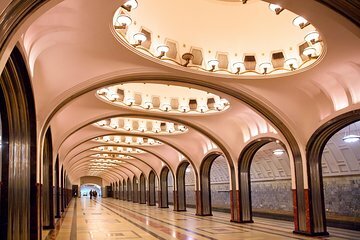 While Moscow is beautiful above-ground, it’s fascinating underground. On this tour you will visit two of Moscow’s most interesting underground attractions: the beautifully decorated Metro system, and the Bunker 42 anti-nuclear facility. Your private guide will tell you all about the history of these places, and answer any questions you might have. You’ll see a different side of Moscow on this tour.